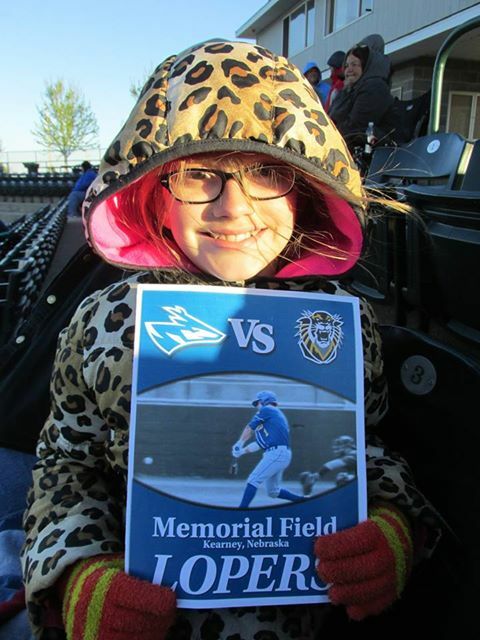 Amy Schweitzer uploaded this photo of their family at the Loper’s baseball game. partners were promoted as part of the event. “The end of April is a time where the community wants to get outside and enjoy the weather turning. 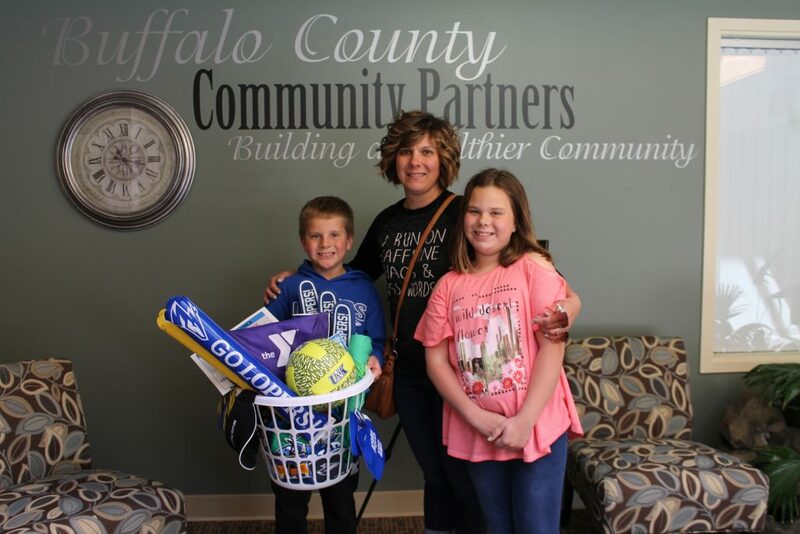 This week was perfect to promote all the activities going on in the community and the reason for getting out and being active with your family,” said Becky Squiers, Community Wellness Coordinator at Community Partners. A few of the events included, University of Kearney sporting events, MONA Art gallery show, City of Kearney Storybook Walk and Bicycle Sunday, Prescription Takeback, YMCA Healthy Kids Day, and the Girls on the Run 5k. 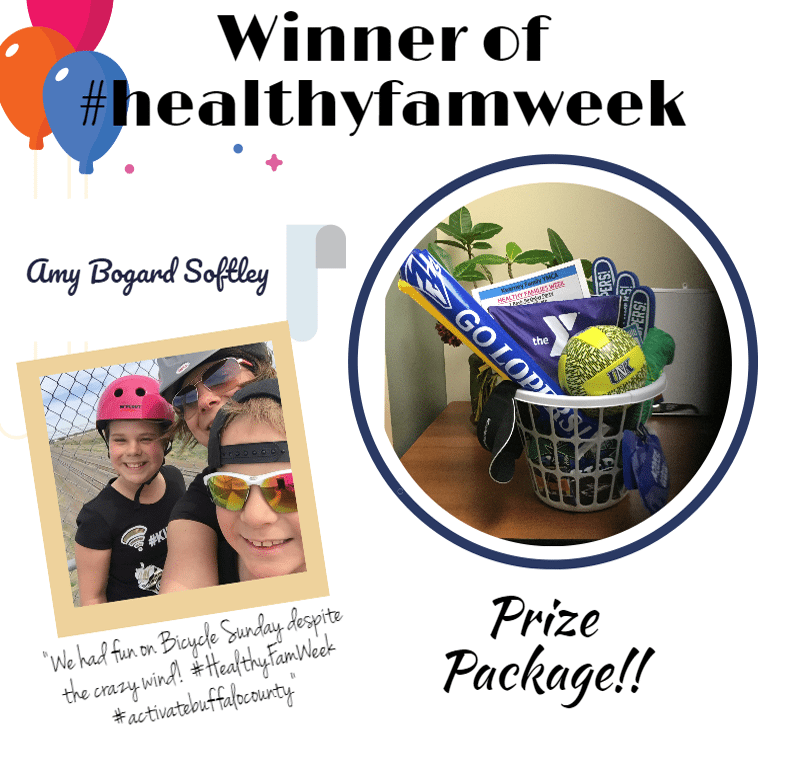 Families were encouraged to post photos of their family at the different activities for a chance to win a healthy families prize package with items donated from our partners. “We live in a community where activities are always happening. We want to show community members just how many healthy activities they can be a part of. We’re bringing a variety of partners together to show families that our whole community is invested in their health and well-being,” said Squiers. To see all the photos go to Activate Buffalo County Facebook Page. Amy Bogard Softley and family won the prize package! She posted pictures from Bicycle Sunday and the UNK Baseball game. Her photo was randomly selected to win the prize.